In a summer full of al fresco movie nights and outdoor events here’s one way to change things up: Check out the new location for a classic L.A. drive-in. Electric Dusk Drive-in, formerly known as Devil’s Night Drive-In, has found a new home after closing its doors at their San Julian St. location in DTLA last October. The new drive-in is on Fletcher Street at the LACCD Van De Kamp college campus complete with an astroturf outdoor seating area. They offer car and lawn tickets and cars are organized by size so that, for example, mega-sized SUVs don’t block out the view of a Prius. Advance lawn tickets are $10 per person, car tickets are $14 per person, and a VIP car pass for up to four people is $60. For tickets at the door it’s $12 for lawn tickets and $16 for car tickets. The Snack Shack will offer classic American fare including hamburgers, hot dogs, grilled chicken sandwiches, veggie burgers, chips, candy, popcorn, and cupcakes. Screening lineup and dates listed after the jump. All movies slated to begin at 6:30 p.m. on dates listed below. 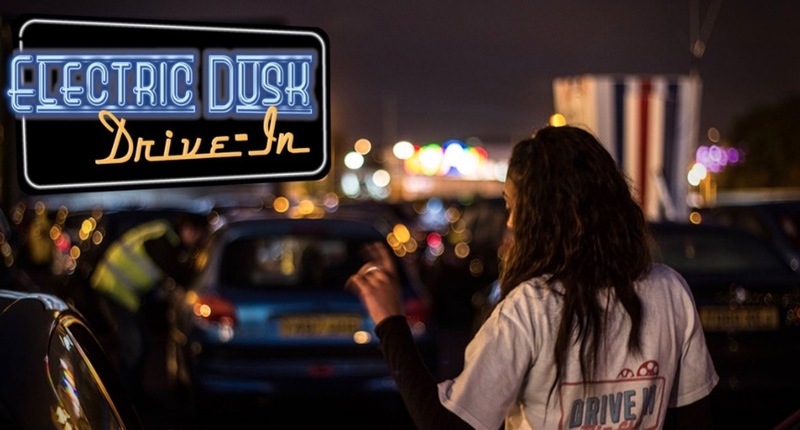 The Electric Dusk Drive-In is located at 2930 Fletcher Dr. & San Fernando Rd., Los Angeles, California 90065. Keep in discount tickets are available for select drive-in showings (while supplies last) via our friends at Goldstar. For more information and to purchase tickets, visit electricduskdrivein.com.